The first step is to find yourself a trustworthy lawyer. We’d always recommend using an English-speaking Cypriot one, who has a strong knowledge of the local language and laws. They will often also be able to advise you on inheritance and personal tax, which is so important in making your life here problem-free. The Resource Centre can introduce you to people we have worked with for almost 14 years and about whom out readers have left glowing reviews – simply give us a quick ring on +44(0)20 7898 0549 or email cyprus@propertyguides.com. Having viewed the property and being absolutely sure you want to buy it, it’s time to put in a bid. Once accepted, the agent will take the property off the market, usually for one month. You may be asked to sign a reservation agreement, which shows your commitment to buy the property. You may also need to put down a small deposit. Consult your lawyer before signing anything or sending the money. It might be a few thousand euros, or a small percentage of the property’s value. You’ll need to know under what circumstances you will get it repaid if the deal falls through. Ideally, this deposit will be held in a neutral account. During this period, your lawyer will check the relevant paperwork and conduct various searches. One of the most important will be about ownership and title deeds, which has been a vexed issue in Cyprus. You need to be absolutely sure that the vendor is the rightful owner of the property. Once you know how the legal process of buying a house in Cyprus works and you’ve got yourself a capable lawyer, you’ll find things often progress relatively swiftly. They will look to see if there are any debts/loans on the property, and any exemptions that may hinder the property sale. This has also been a common problem in recent years. If it is a new property, your lawyer will check the correct planning permissions have been obtained from the local authorities. Your lawyer should ensure the sale contract is deposited with the Lands Office. In the case of a new development where deeds won’t be issued until the property is completed, the sale of contract should reflect that the property is protected until a separate title deed is issued. Provided no issues arise from the legal searches, your lawyer will draft a property sales contract. Next, they will ensure it is approved by all parties in the transaction. This will need to be stamped and registered by the Lands Office. The reason for this is two-fold. Firstly, it prevents the seller from selling the property to anyone else. Secondly, it prevents them from using the property as collateral to gain a mortgage or loan. The Specific Performance Law, as it is known, also protects the buyer before the deeds are formalised in their name. At the same time, you will need to transfer a proportion of the agreed property price. You can also pay for the utilities to be connected this stage if necessary. During this time, it is vital to protect your budget from currency movements. If you do not, you could find that adverse exchange rate changes leave the property costing you thousands more when you come to complete. During the past two years to April 2018, in nearly 60% of the time, the pound lost its value over the course of the following month. Your lawyer will also issue a request to the Council of Ministers for Cyprus, for the entire property acquisition. This is in relation to character references, to ensure you won’t have any legal issues and aren’t on Interpol’s wanted lists. They will also prepare an application for the reduced VAT rate of 5%. When this is approved, you will transfer the final balance of the sales price. All this is usually completed within one month. The final stage involves obtaining the title deeds from the Regional Land Chamber in the presence of the seller and buyer. You must obtain a receipt proving the registration fee and registration of property tax have been paid. During this final stage, the title deeds transfer fee will have to be paid. Once in receipt of them, you are the owner of the property. You can now apply to the likes of the water and electricity authorities to transfer the utilities into your name. You may be able to organise power of attorney if you are unable to be present. Your power of attorney can sign on your behalf; your lawyer will arrange it. It’s important to assign power of attorney only for the property transactions and not to all of your legal affairs in Cyprus. Whether you use power of attorney or are present yourself, you will need to present a valid passport and your tax registry number. 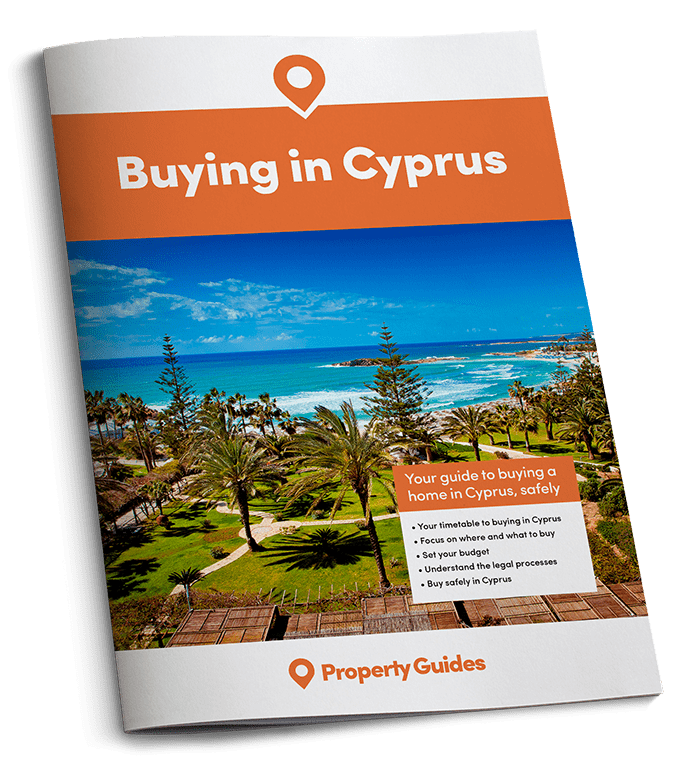 Now that you understand the process of buying a house in Cyprus and you’ve all the information from the six parts of our series, you’re ready to start making the move! Give the Resource Centre a ring on +44(0)20 7898 0549 or email cyprus@propertyguides.com if you have any further specific questions or would like advice on finding relevant estate agents, lawyers, currency brokers and other sector specialists.